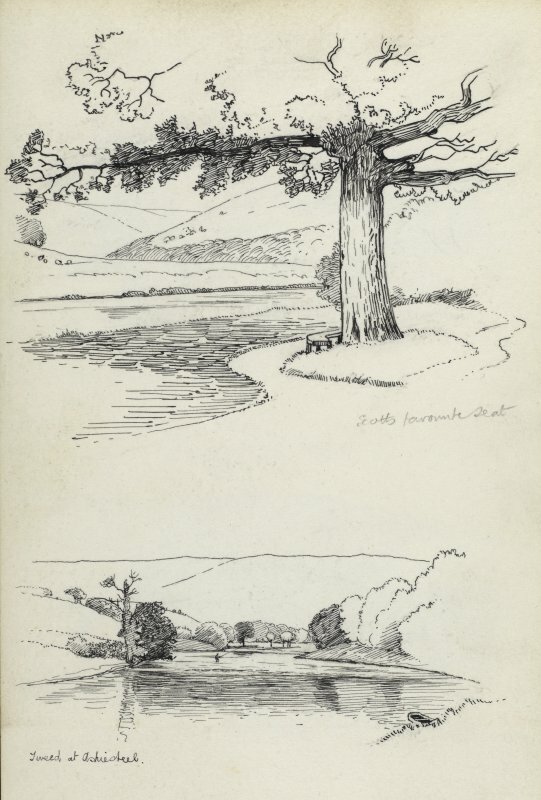 Sketches showing the River Tweed at Ashiestiel. 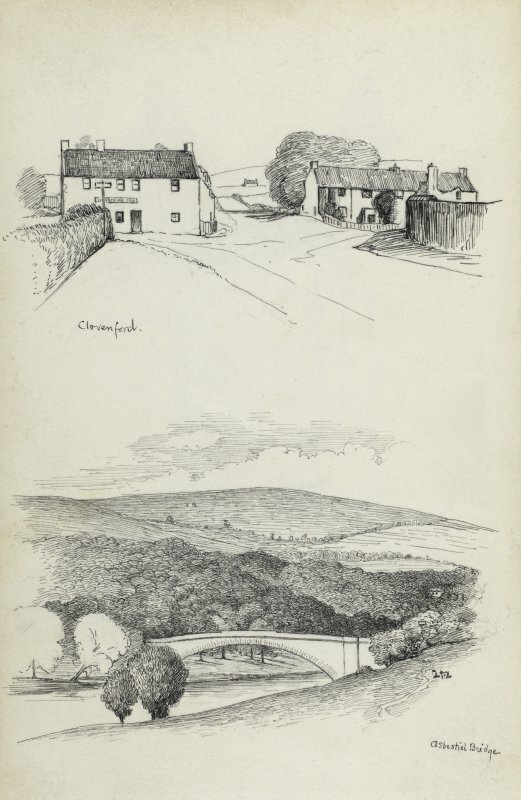 Sketches of Clovenford village and Ashestiel bridge. 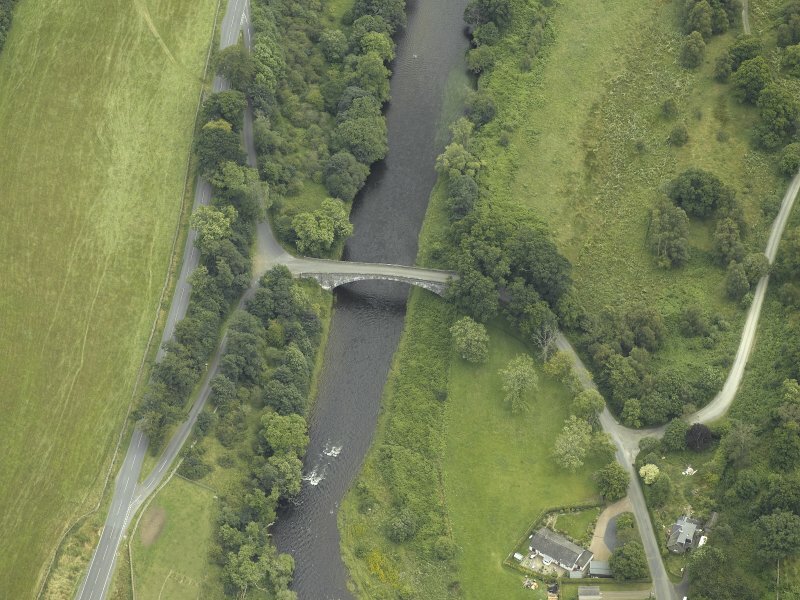 Oblique aerial view centred on the bridge, taken from the NNE. 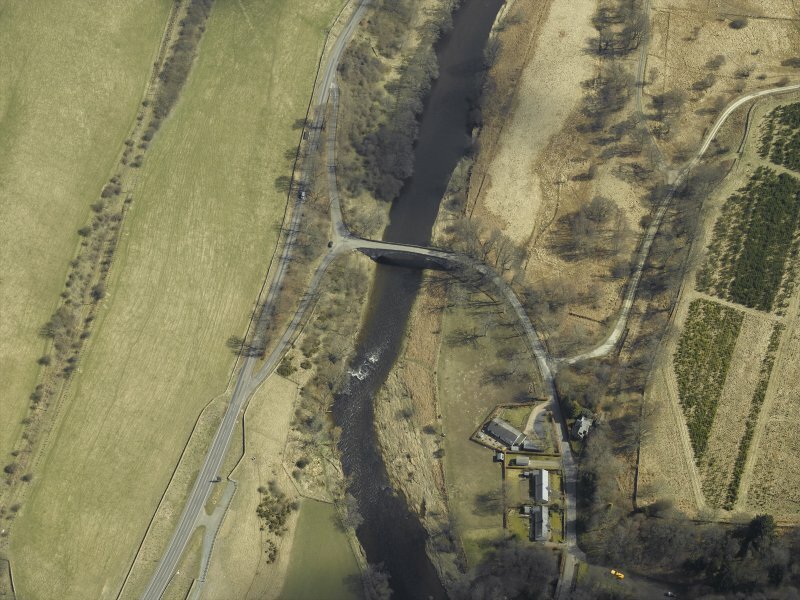 Oblique aerial view centred on the road bridge, taken from the SE. 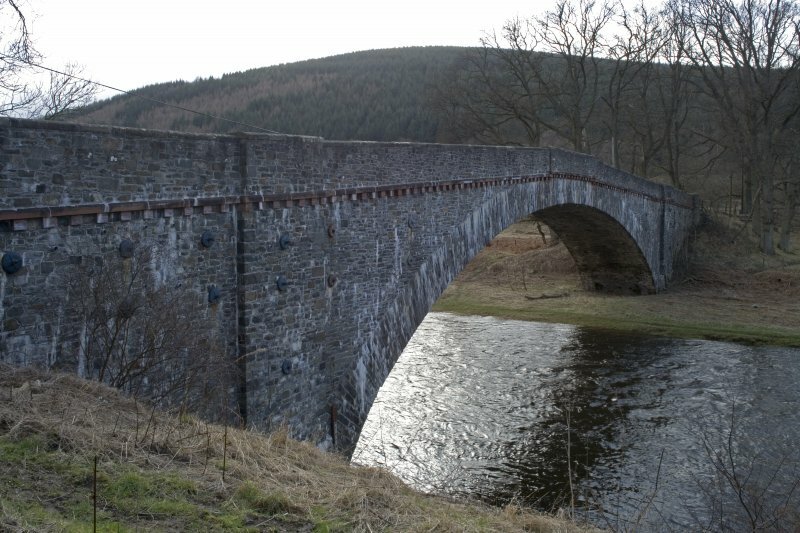 Low Peel Bridge. 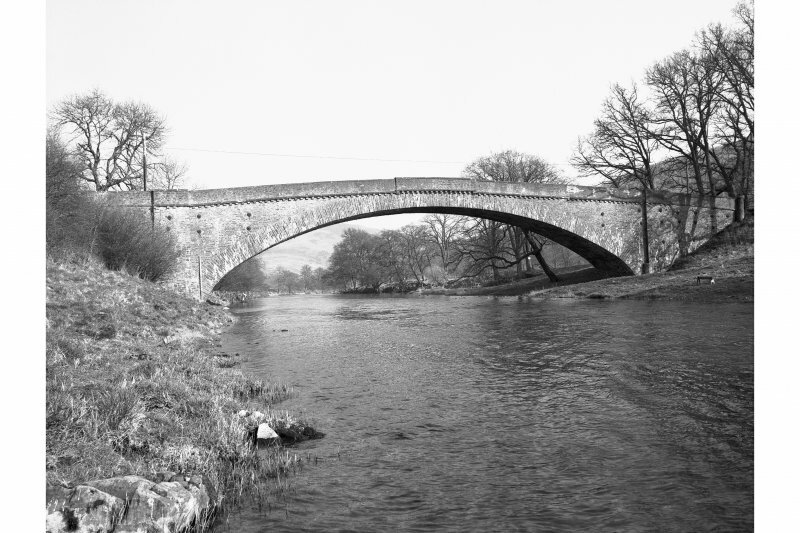 Ashiesteel Bridge, sometimes called Low Peel Bridge, crossing the River Tweed, was built in 1847. 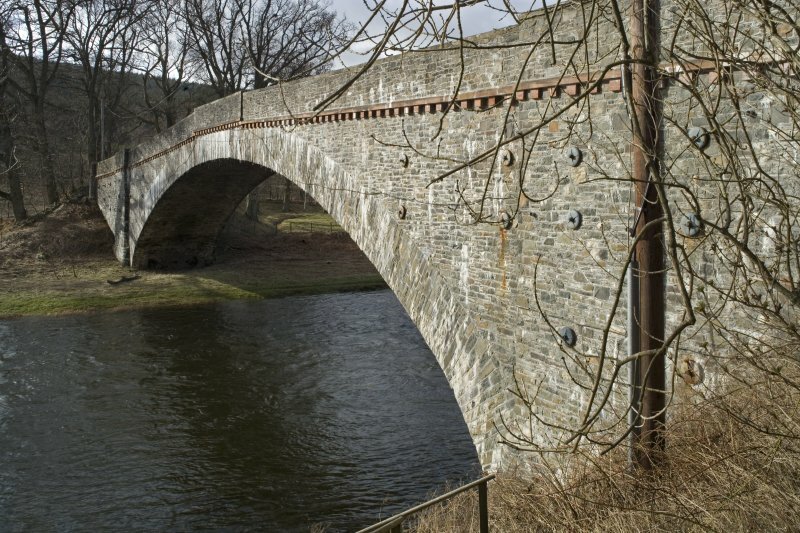 Constructed of whinstone rubble, its span is 132 ft, while it measures 203 ft in length, including the approaches, by 18 ft 10 ins in overall breadth. 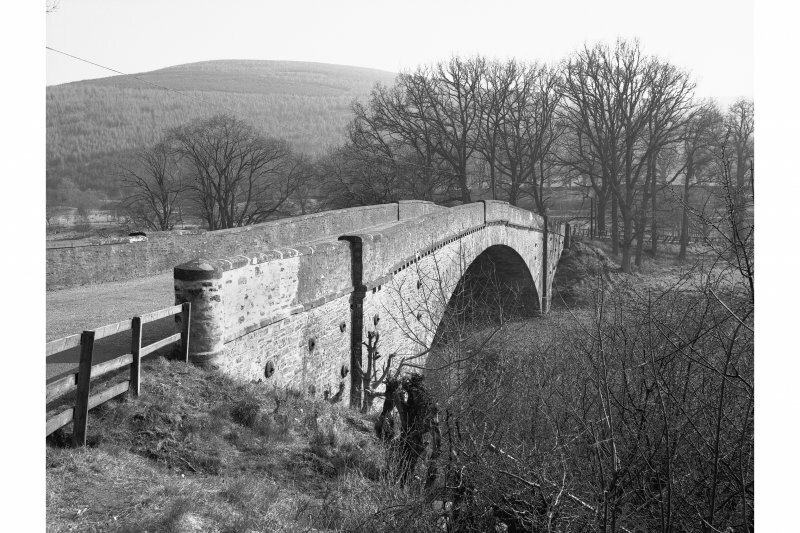 The structure was repaired in 1952. 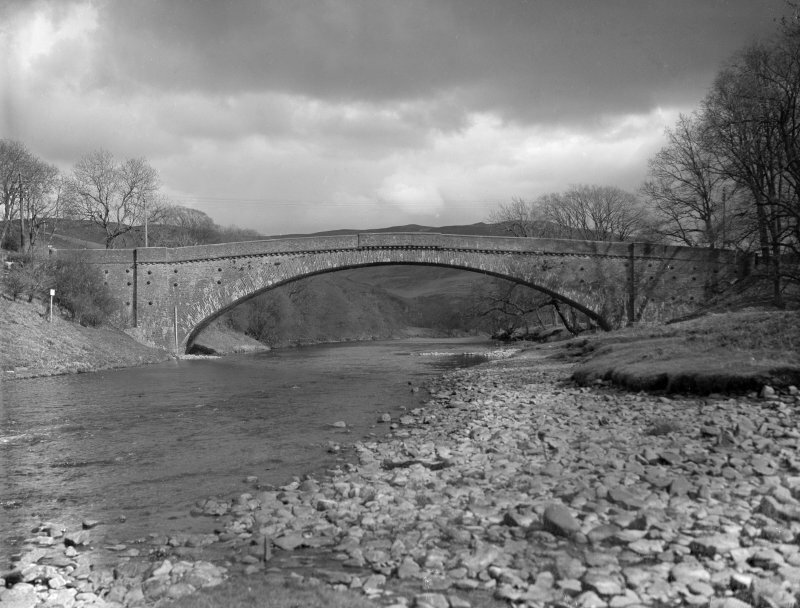 It is understood that the bridge collapsed once during its original construction, before the arch was completed. 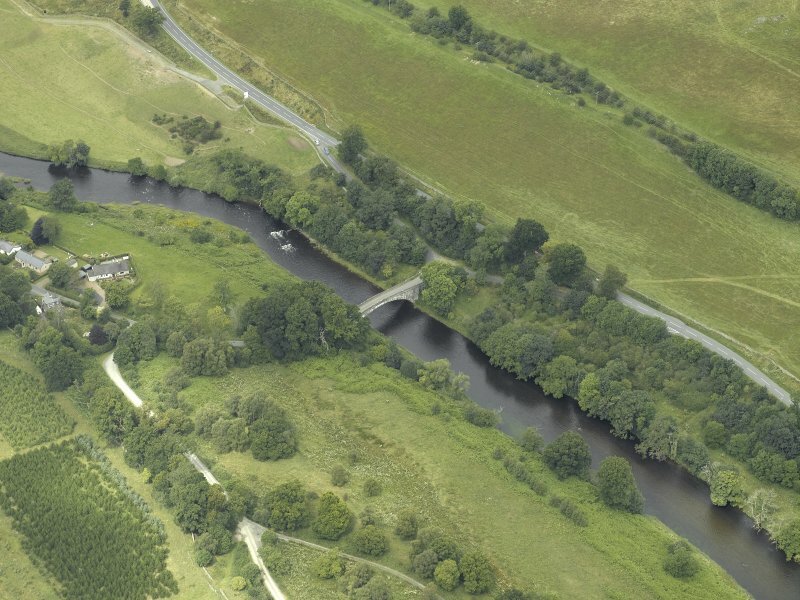 (Location cited as NT 439 351). 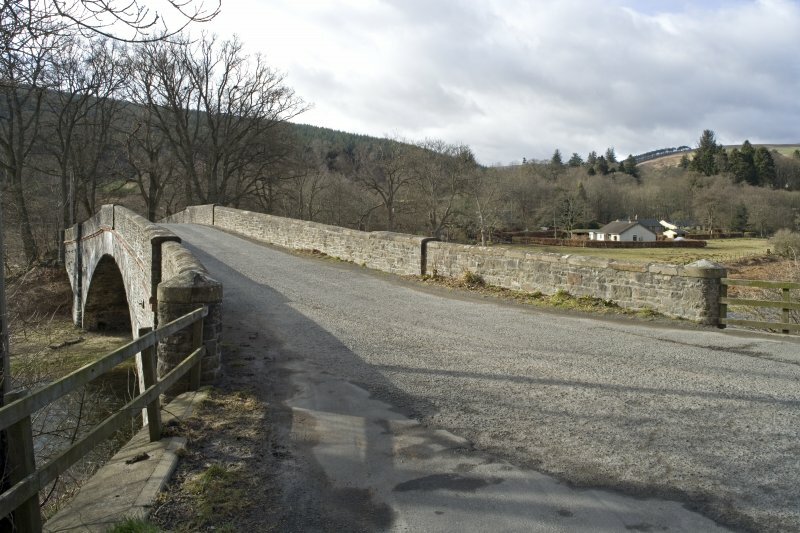 Yarrow, Ashiestiel Bridge. 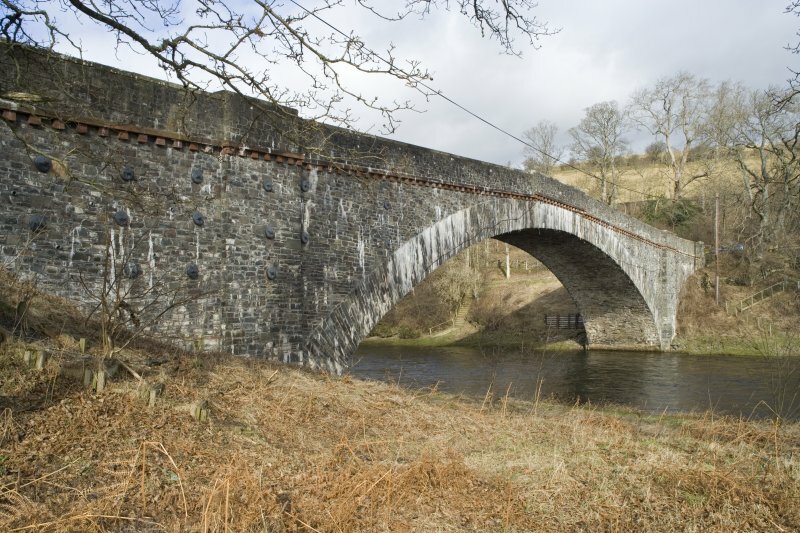 Built 1847 by J and T Smith, Darnick, engineers. 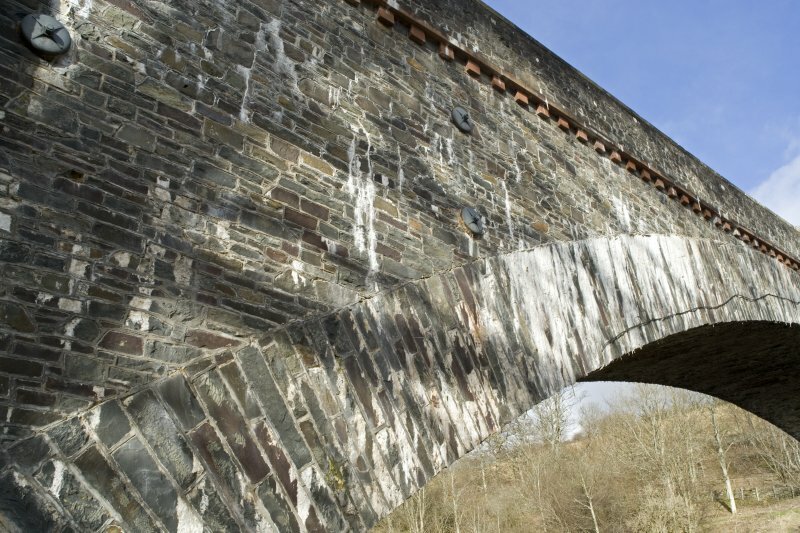 A remarkable single-segmental-arched rubble span. A long flat elliptical rubble arch. 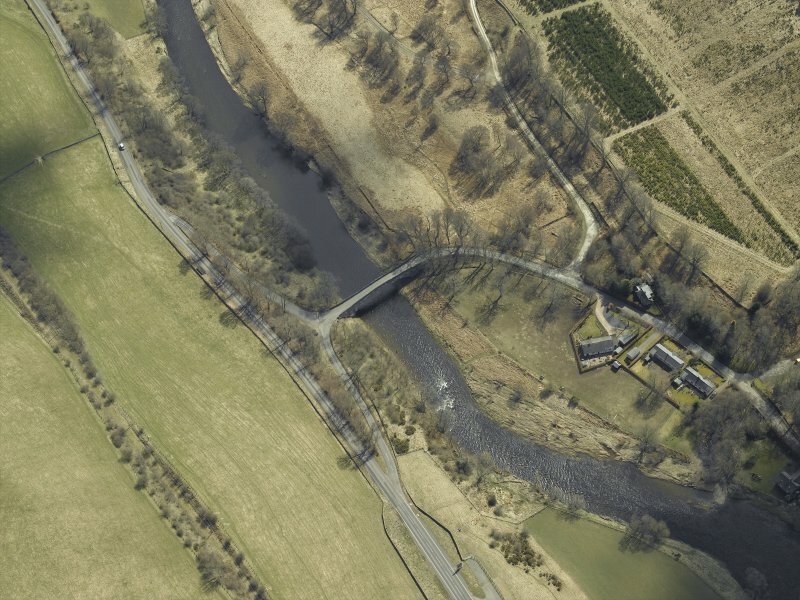 Nearby is a good example of a contemporary bridge over a small stream. 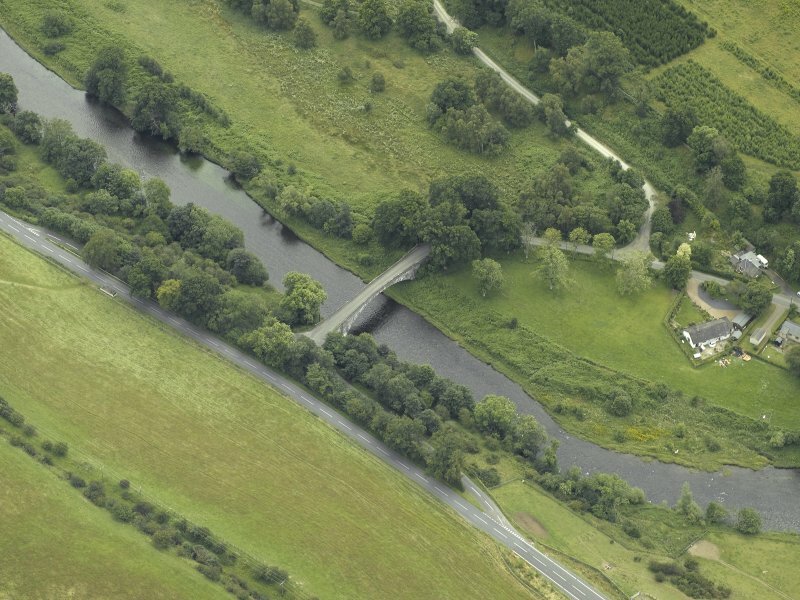 As described: a well-preserved bridge in daily use. Visited by OS (MJF) 29 November 1979. 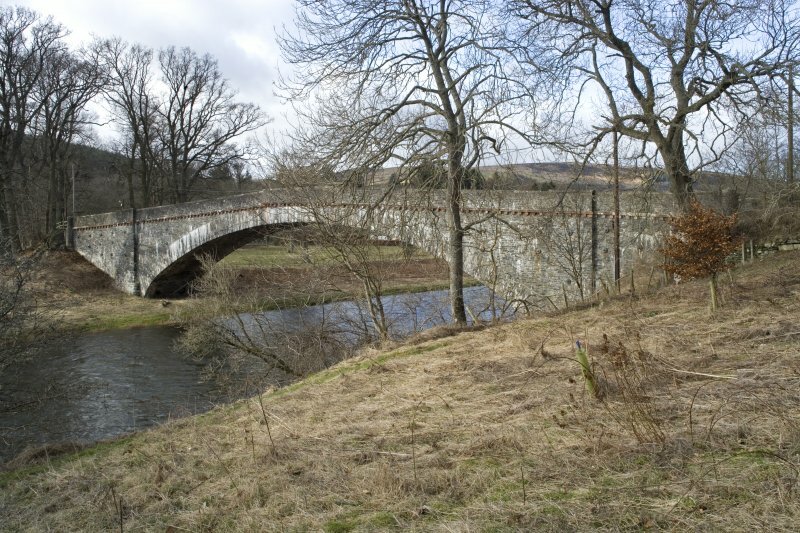 This bridge carries an unclassified public road over the River Tweed, within the parish of Caddonfoot. 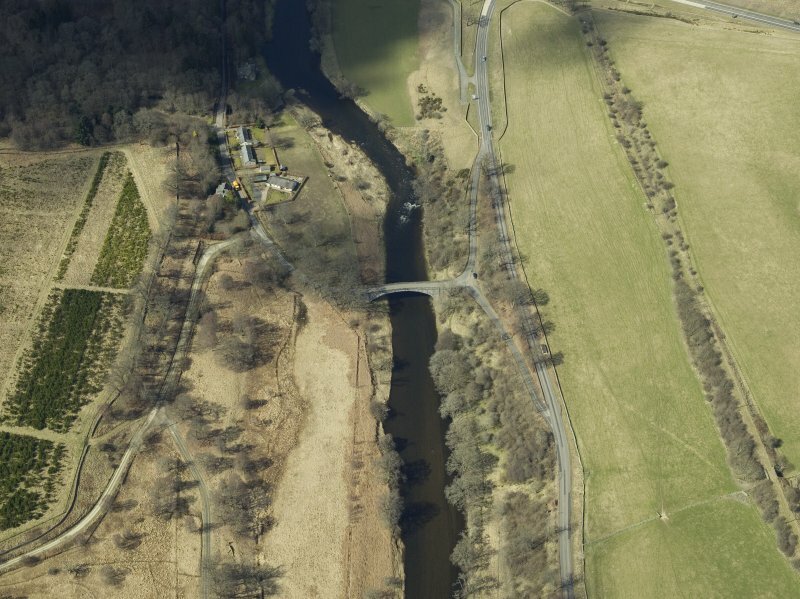 Information from RCAHMS (RJCM), 9 July 1998. 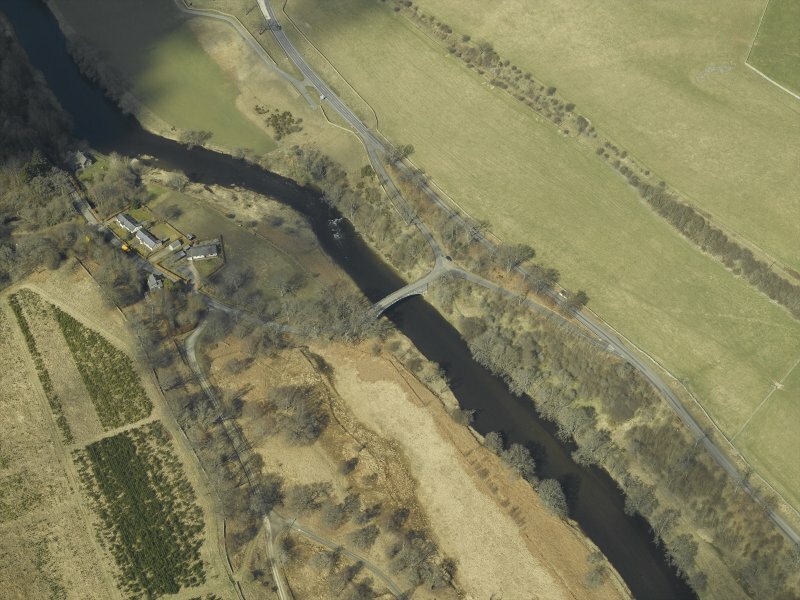 This road bridge crosses the Tweed in a single graceful semi-elliptical arch of 13112 ft with a rise of 26 ft. 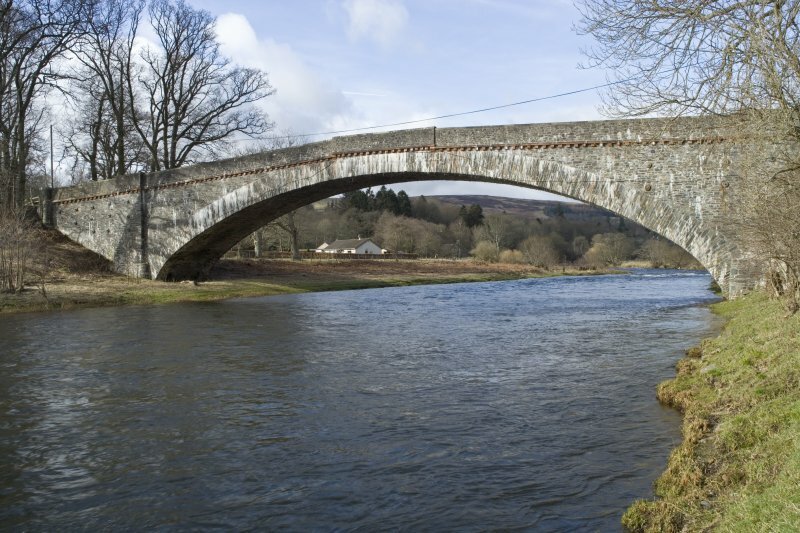 It is one of the world’s largest rubble masonry spans and the closing bridge achievement of J. & T. Smith of Darnick. done. The parapets and spandrel faces were taken down and rebuilt in the early 1980s.